October seemed to fly by. With the time of ghosts and gouls upon us, we turned our attention to something a little less scary: The Marketing Tech Stack. Technology grows as technology grows. Now more than ever, versatility is important if you want to make the most of whatever new development lies around the corner. Enter the Marketing Technology Stack, a durable collection of tools, typically layered in structure, used to manage and utilise customer data. Just take a look at ChiefMartech's Stackies Awards; one of the first things you are likely to notice is that stacks can look very different from one another. This is because of the wide range of marketing needs, and the even wider range of tools available to meet those needs. There is one thing, however, that any two modern stacks will have in common: the potential to grow and adapt. Think of building block sets you can buy for kids. Whether they are plastic or metal, bricks or rods, the beauty of these sets is their versatility, how they allow for expansion and change. Maybe you want the rear of your western saloon adjoined to a medieval castle? No worries. As long as the pieces fit, it is up to you how they are assembled. This is the principle of a good marketing tech stack, and the reason why stacks have generally replaced less versatile SAS systems; updating your stack is just a case of rearranging the blocks. 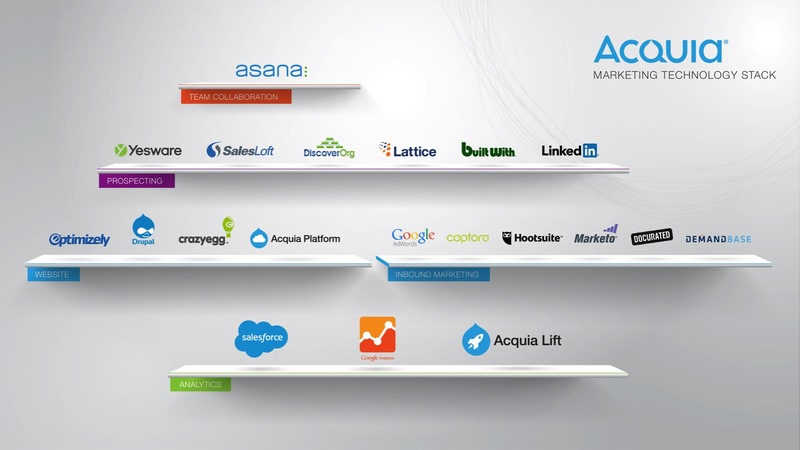 Acquia's representation of their MarTech stack earned an honourable mention in the Stackies Awards. 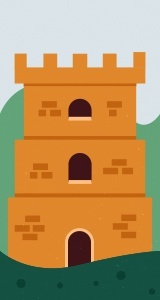 Now, picture this: you're reveling in the success of your cowboy-castle creation, when lo and behold, a wobbly wall gives way to a battlement which comes tumbling down on the sheriff. It's not a pretty picture. 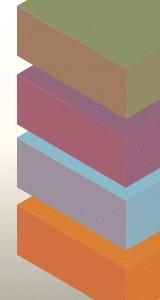 Missing blocks can be a problem for the marketing tech stack; its ability to remain stable yet versatile is dependent on a solid foundation of core elements. These include a CRM for organising and feeding data, a TMS for deploying tags quickly, and marketing automation that utilises multiple online channels. The good news is, there are so many options available - and the great news is that we've had experience with a lot of these options. We can analyse the effectiveness of your stack and identify areas for improvement, and then go on to implement the best set of tools to enhance your marketing tech. Your stack is as much a creative development as it is technical, and it is uniquely yours. If it has more to give, make sure you get it.